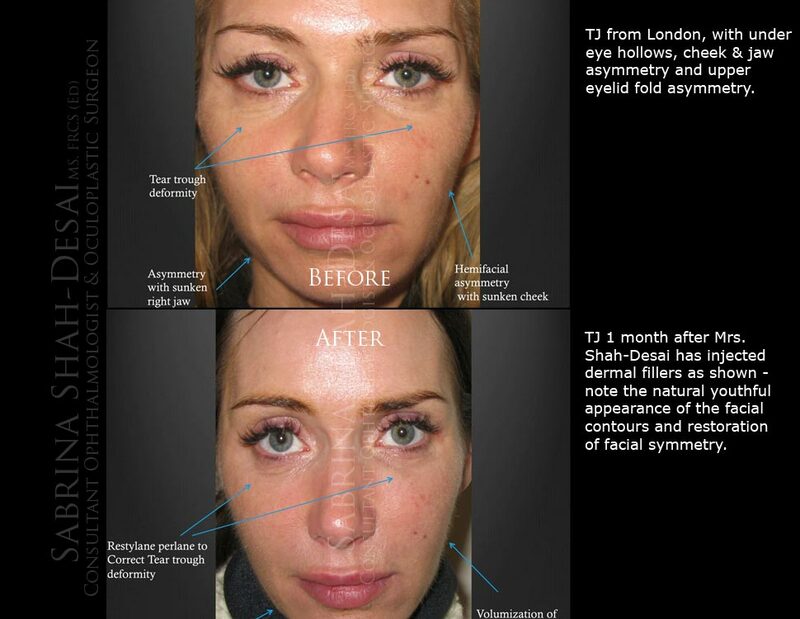 Case Study : Dermal Filler (Liquid Face Lift) | Aesthetic Treatments in UK. “I have a naturally thin face and was unhappy with the contours of my face, for which I had consulted numerous Harley Street nurse practitioners & plastic surgeons. After being treated by some & dismissed by others, I was still trying to “fix” my gaunt facial appearance. A chance recommendation by a colleague prompted my consultation with Mrs. Shah-Desai. I was surprised by her sense of aesthetics. She instantly highlighted asymmetric areas that would benefit from targeted volumization. She employed a process of gradual layering of different fillers, to successfully address my concerns.